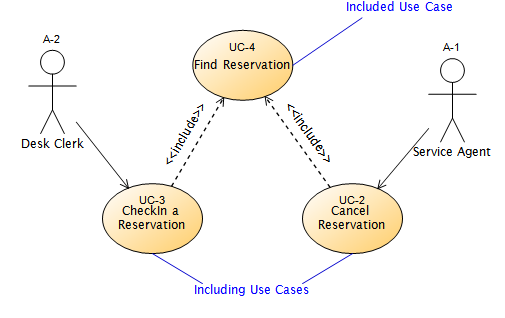 3 Use Case ends passing "success" return code back to Step_3.1 of calling Use Case (UC-ADP-1). That's close, but I'd make a few changes. Brilliant! So simple I'm kicking myself for not thinking of doing it the way you've described. Much simpler. Much cleaner. 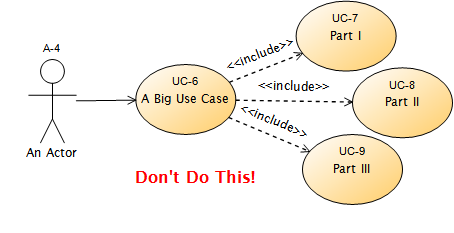 And as you stated a use case should be all about writing requirements not pseudo code. what could be the two different user roles for this site and user role map that summarises the way these two user roles fit together in defining who will use the system and how?? ?